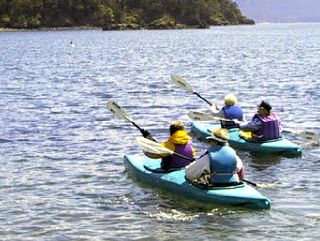 To get a comprehensive view of the San Juan Islands with local wildlife in a single kayak trip; we recommend kayaking around Obstruction Island, which takes about 1.5 hours. 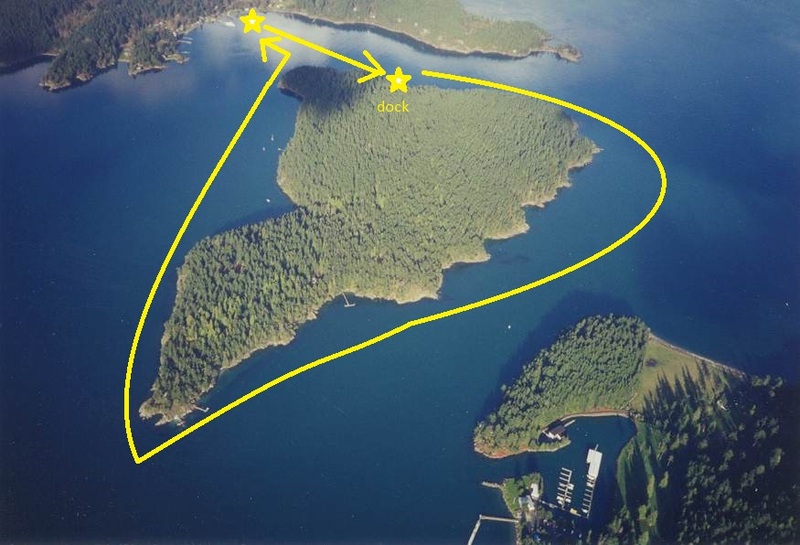 "In all the years we have had no person disappointed with that trip"
Overhead view of Obstruction Island (on flyingislandrealty.com). Lieber Haven Rentals is at the top of the picture, and Blakely Island is to the bottom. Please do not land on Obstruction Island; it is privately owned. It only takes about an hr. and 1/2 and is a beautiful trip !